be professional as soon as you enter the building. The receptionist and anyone else you meet might tell the interviewer what they think of you. Speak clearly and vary your tone to show you’re interested and enthusiastic. Take time to think about each question before answering so you can give a good response. Listen to questions carefully and let the interviewer lead the conversation. If you don't understand a question, ask for it to be explained or repeated. If you’ve had a job before don’t criticise previous employers or co-workers. Give examples from your experience that demonstrate your knowledge and skills. Show confidence in your skills and be positive about what you have done. For example, instead of using phrases such as "I only have..." or "I don't have…" tell the employer what you do have to offer. When you answer interview questions about something you’ve done it’s best to use the STAR method (situation, task, action, result). Situation – describe what the situation was. Task – describe the task you had to do. Action – describe what you did to achieve the task. Result – describe the final result. Summarise your work and study experience and talk about your goals. Use your research about the job and organisation to answer this question. Explain how your personality, skills and experience make you ideal for the job. Discuss any skills or experience you have that will help you do the job. Discuss your strengths and then talk about how you overcome your weaknesses. Describe a specific task or situation, what you did and what the result was using the STAR method. provide evidence of your strong work performance if the gap was due to redundancy. Employers will usually ask you if you have any mental or physical conditions that could prevent you from doing the job you’ve applied for. If you’re fully recovered from an illness, be honest and make it clear that your health won’t be a problem for the employer. If you have an illness that could affect your ability to do the job, be honest and answer the question positively. For example, "I have arthritis in my foot that prevents me from standing for more than an hour at a time. This has never been a problem in my 10 years of working at a desk, but I've been told it could spread to other parts of my body in time." Workbridge offers a free service to help people with any form of disability to find work. You can contact them for support with your job search and interviews. If you've been in prison or have serious criminal convictions, approaching previous employers could be useful when job hunting. They will know what you’re like as an employee and may offer you another job. They may also give you a good reference. If you get a job interview you may be asked if you have a criminal record. Consider the employer’s concerns and discuss what you've done since the conviction. For example, "I have to tell you I have a criminal record. However, I've taken an anger management course and I've learned how to control my anger in difficult situations." 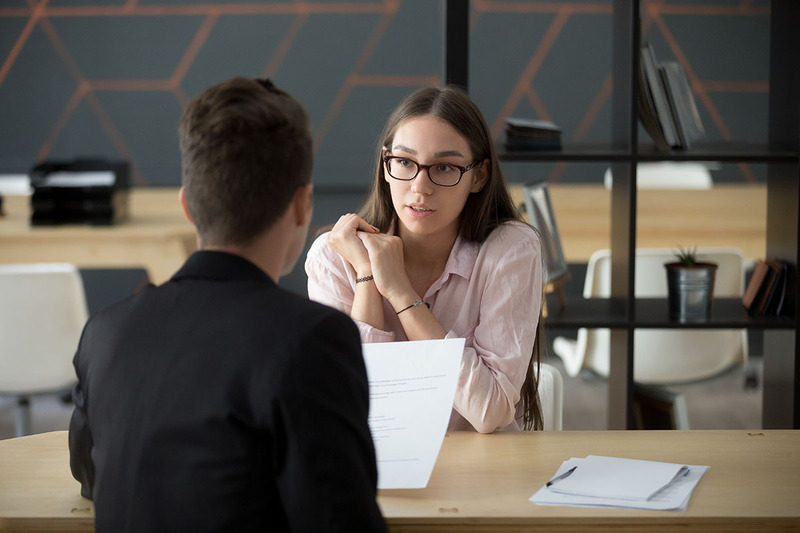 It's important to tell the interviewer about any convictions to demonstrate your honesty. If you don't mention a serious conviction before you get the job and they find out about it, you risk being dismissed. The Criminal Records (Clean Slate) Act 2004 allows you to conceal some convictions that are more than seven years old.